“O buona ventura!” If your Italian is a little rusty, in English it means, “Oh, good fortune!” or “What good luck!” Legend claims that these are the words exclaimed by Francis of Assisi when he prayed over the four-year-old Giovanno di Fidanza in 1225. The name “Bonaventure” stuck. Giovanno’s mother, Maria la Ritella, was beside herself with worry when her son became seriously ill. She sent for Francis to help. With just a touch and prayers, Giovanno was healed. The healing was so successful that Giovanno was never sick again until the end of his life. The legend continues that Maria promised God on that day that she would give her son to God’s service if he would only be healed. This would be quite a change for someone of a noble and wealthy birth, but Bonaventure was willing when the time came. 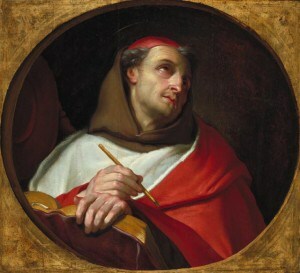 In his late teens, Bonaventure joined Francis of Assisi as a friar and studied at the University of Paris. He found a new friend there, Thomas Aquinas. Eventually, Bonaventure taught theology (the study of God) in the same school. One of Bonaventure’s most helpful ideas was to show people how to find God by passing through three stages: “Calm of peace,” the first stage, happens when we are purified of sin. We can do this today by receiving the Sacrament of Reconciliation or by telling someone we are sorry and then change our hurtful ways. 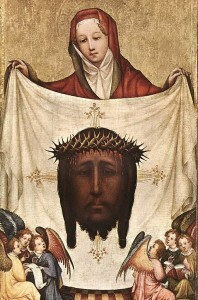 Bonaventure called the second stage “splendor of the truth.” In this stage, we live our lives by imitating Jesus. Our path is lit by the light of Jesus showing us the way. The third and final stage, “sweetness of love,” comes when we are united with God. Most people would agree that Bonaventure lived by his teaching because he reflected an outward happiness. Only through an inward peace and joy could he show happiness on the outside. He knew that this joy could only come from having God in his heart. Bonaventure liked teaching and thinking and writing. He was quiet and humble and did not want people to think too much of him. He wanted to live a simple and frugal life, a life that did not include a lot of waste or luxury. That is why he wasn’t very happy when he was first asked to be a bishop. When he was asked a second time, he had to take the job and became Bishop of Albano, Italy, in 1273. In the following year, the pope called a meeting of bishops to fix the Church’s problem of division. The Eastern (or Greek) Church didn’t get along with the Western (or Roman) Church. Pope Gregory X wanted the two divisions to heal their differences. The meeting was called the Council of Lyons. Bonaventure’s good friend, Thomas Aquinas, died on his way to this meeting. Bonaventure himself became ill and died in 1274 before the council ended. 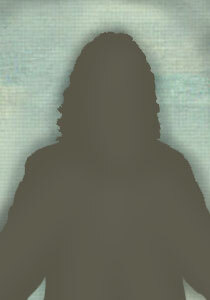 He is called the “Seraphic Doctor” of the Church. Seraphic refers to the highest order of angels and is a term sometimes used to describe the Franciscan Order. Bonaventure was canonized in 1484 by Pope Sixtus IV.